If you are looking to start your day off right, there’s no better way than a full belly. 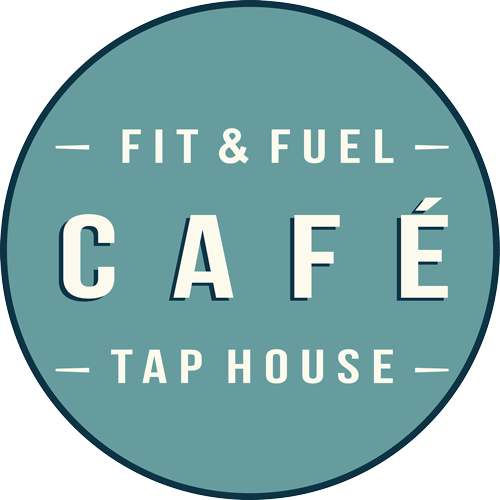 Whether you are a local or one of our many visitors stopping in from all around the globe – Fit & Fuel Cafe and Tap House is your premier choice for the best breakfast options in North Naples. 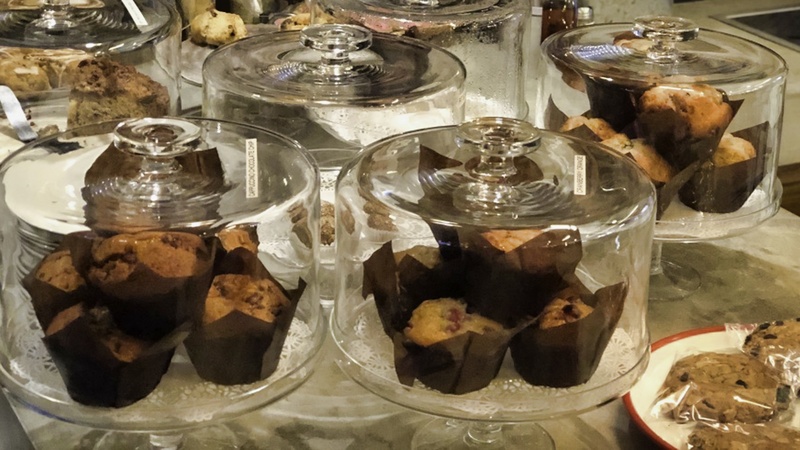 Every day we freshly bake our muffins and cookies, you may just be lucky enough to stop in when they are fresh out of the oven! They are first-come-first-serve to keep up with demand. Why don’t you stop in for breakfast and get your day started right! 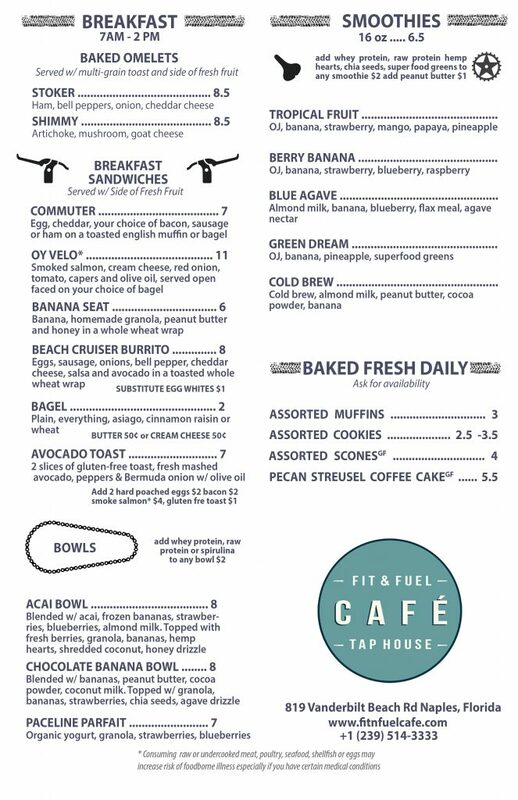 Striving to bring you healthy options, we offer a full breakfast menu and are open early for both commuters and local athletes… Stop on in before the sun gets brutal, or maybe stop by for lunch after your ride… No matter when you come by Fit & Fuel Cafe and Tap House you will surely not be dissappointed. 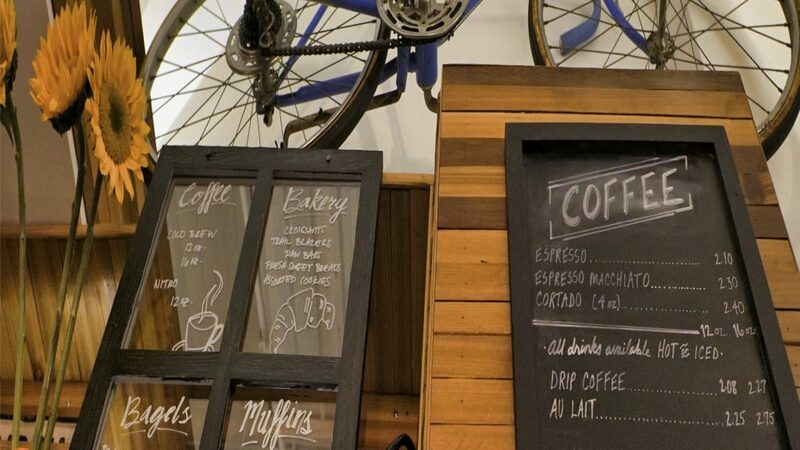 Don’t forget – We have some of the absolute best coffee in Naples to pair with our many breakfast options. 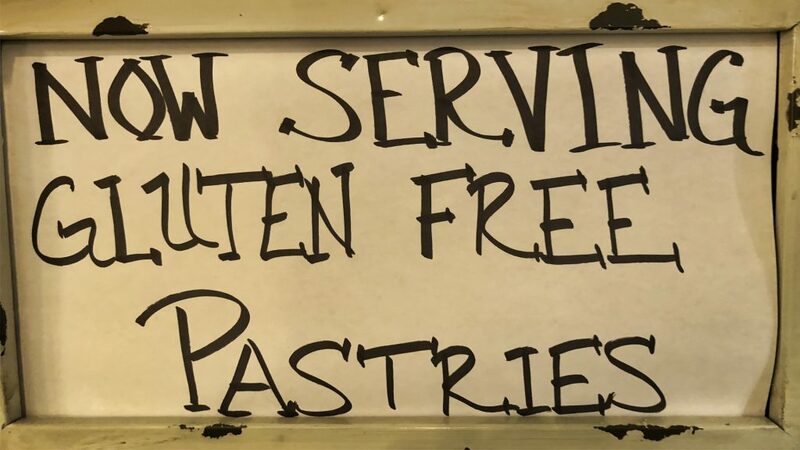 Now Serving Gluten-Free Breakfast options as well! We hope our Breakfast brightens your Entire Day!